The lack of empathy shown towards migrants these days have been nothing short of disheartening, if not appalling. After all, upon more contemplation, what are the factors that truly discerns migrants from most ordinary citizens? A permanent residence card. Weighing no more than 20 grams and not longer than 13 cm in length, the fact that only a green card denies these people a shot at a decent life is frankly absurd. Unfortunately, the law as we know it is established on the foundations of system and governance, not conscientiousness. And for most of us, how can we complain? Belonging to the minority who benefit from this form of governance, we scarcely have any reasons to raise our objections. That is, until we read the papers. 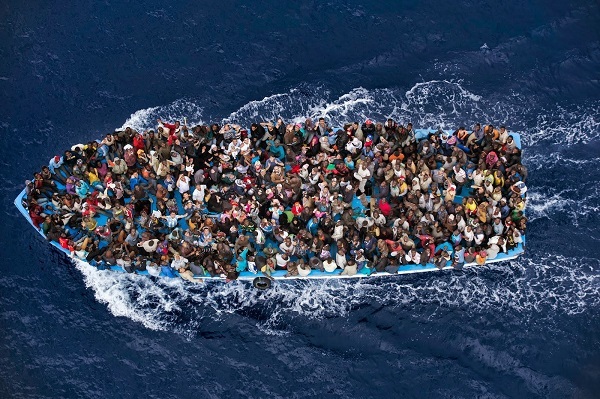 An image of a boat distressingly overcrowded with Rohingya citizens takes up the front page; the squalid condition of the vessel, seemingly about to be overcome by rust, combined with the sheer volume of occupants in the boat, with most of them looking unkempt (an euphemism), are dangerous indications of a crisis already underway -which has been severely underestimated up until this point. With most of the world’s attention focused on the horrors of ISIS and the perils of the Greek debt crisis, it seemed that the news of a couple of ships landing on a country’s shores every now and then would not qualify as ‘big news’, or rather, ‘global issue’. This is exactly why the situation is so perilous; that we allow such adversity to materialise even when we have the means to avert it is a tragedy by itself. It is increasingly scary what we ‘civilised people’, are capable of. Our newfound ability to justify our apathy is not something that we should be proud of; in fact, when the time comes, it may even be our undoing, if it’s left to perpetuate indiscriminately.Heavily engrossed with becoming successful in society’s eyes, the plight of a few hundred Rohingyas by the seas simply isn’t in our priorities, for the most of us. “Surely somebody will come to their aid,” is the prevalent thought today. Who is this mysterious individual that will don the proverbial shining armor and end their misery? The answer, it seems, isn’t as enchanting as we thought. Since news broke of the Rohingya’s recent desolation in the South China Sea, an agreement struck between the Malaysian and Indonesian governments rendered their responsibility for these Rohingya migrants official. Nevertheless, despite moderate efforts intended to curtail this issue, the problem is, for the most part, still at large. The migrant numbers do not show any sign of relenting while their vital suppliesare diminishing precariously as we speak. To put it in a nutshell, it’s a ticking time bomb. The initiatives launched by our governments simply do not match the scale of the crisis. It is evident that our government can’t do this alone. There is no better time to give our public support than now, when we can still amend things. The power that we, as individuals and citizens, hold is immense in the sense that we coherently make up our nation when united. If we, as a nation, could accomplish such a feat, we would have deemed ourselves worthy of a claim as sanctimonious as a ‘truly civilized society’. At the end of the day, as we take a step further into the annals of technological advancement and economic growth, our roots as conscience-bearing creatures mustn’t be abandoned. After all, if we were to continue journeying down this path of acedia, we would be progressing not towards prosperity but rather, societal collapse. The moment that we, as citizens, can afford to ignore the plight of others is the very day that we begin treading down the path of a dysfunctional society. Tags: displaced migrants, migrants, refugee crisis, Rohingya. Bookmark the permalink.